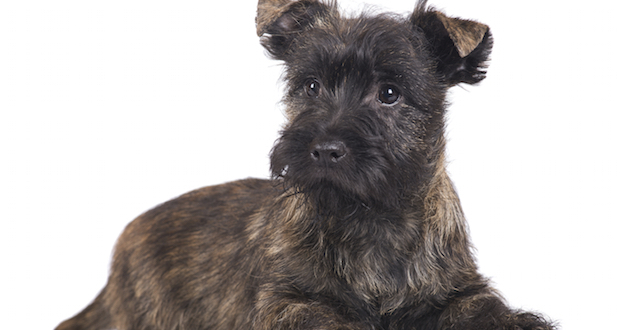 Cairn Terriers can be excitable and will bark at strangers or visitors, however, it is a loyal and protective breed when it comes to family members. Known for their high energy and sometimes mischievous behaviour, Cairns are very affectionate and shed minimally. They do not require a lot of exercise, however, they thoroughly enjoy being active. Fenced in areas are best for these terriers, as they love the outdoors and the thrill of chasing other small animals, for example, cats, chipmunks, and squirrels.